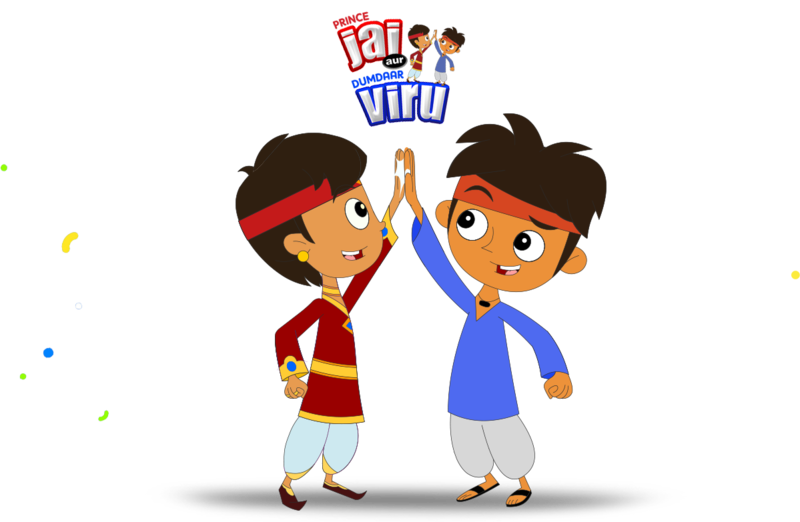 In the fictional world of Suryanagari, reside two little superheroes… Prince Jai and his friend Viru. Their friendship and loyalty, stands in the way of Minister Jeevan’s successively unsuccessful plots to become the king of Suryanagari. Jai’s presence of mind and his gift with technology combines with Viru’s strength and pure heart to always find a way out of tricky situations. Meet the extended family of adorable Moti and a belan yielding Mausi and join them on this classic tale of good vs evil.